If you’re in the market for a new grill, you’ve probably been bombarded with the term “Infrared”. If you listen to the sales reps, they say it’s a ‘must have’ feature when shopping for a grill. Infrared burners promise incredibly fast searing, perfectly even heat distribution and the ability to hit temperatures that you could only dream of reaching with a commercial grill. 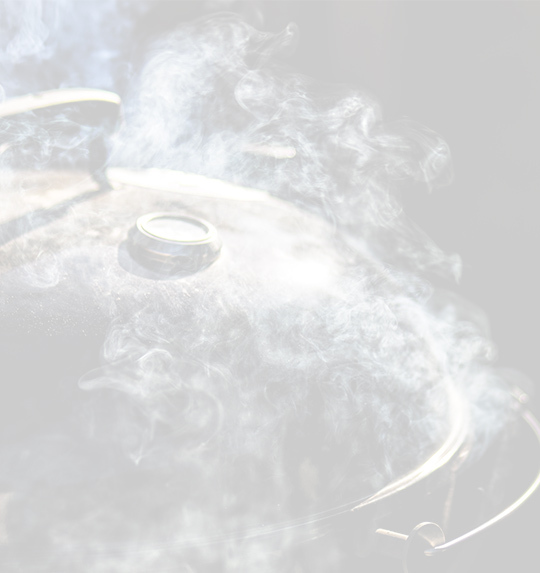 But before you shell out extra cash, it’s worth understanding what infrared actually means, and the pros and cons of infrared grilling. So let’s have a closer look at how infrared works. How Does Infrared Cooking Work on a Gas Grill? What Are the Advantages of Cooking With an Infrared Grill? Are There Any Potential Problems with Infrared Grills? Are Infrared Grills Worth the Cost or Are They Just Marketing Hype? 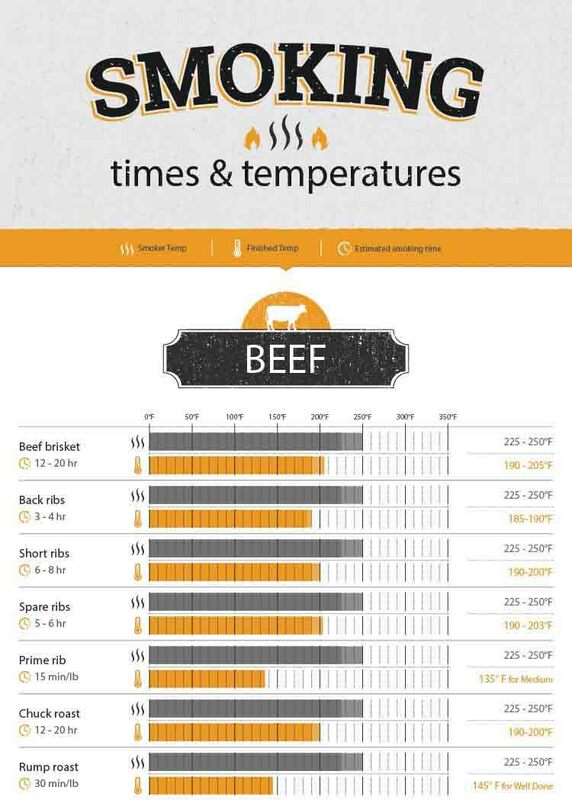 Before we drill down into the pros and cons of grilling with infrared, it’s worth understanding a little bit of the science behind it. Infrared burners use radiation to cook food. Infrared radiation heats food when electromagnetic waves of energy are emitted from a heated surface. Infrared burners work off this principle. These waves travel at the speed of light and can travel in any direction. This means that they are extremely efficient at heating food. Some may worry that these ‘electromagnetic waves’ could harm their health. However, if you consider that one example of infrared radiation is the heat that comes off the glowing coals of a fire, it is clear that this is a perfectly natural heat transfer system. TEC, or the Thermal Engineering Corporation, introduced commercial infrared cooking technology in the 1980’s. However, it was not until the early 2000’s that infrared griling really started to take off. This is because the patent on the technology expired. All of a sudden, infrared grills started to pop up all over the place. On a gas grill, the infrared plate sits just above the gas flame. These plates can be made of ceramic, glass, or metal. This video does a good job of explaining a bit more about infrared grilling. The heat from the flame is absorbed by the infrared plate and then transferred to the food as infrared heat. When cooking with infrared heat, other methods of heat transfer also happen within the cooking chamber. For instance, the metal cooking grills absorb some of the heat from the infrared plate. The heat is then transferred to the food via conduction at the points where the food comes into contact with the cooking grate. Some convection also occurs as the hot air moves around inside the cooking chamber and is reflected off the dome. Conduction also occurs when the surface of the food absorbs the heat and the heat is then transferred toward the center. The undeniable truth about infrared burners is that they are lightening fast. These burners are capable of getting up to around 700°F in seven minutes. With a grill that hot, you will be able to sear your food really quick. 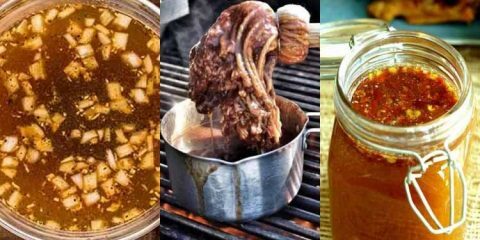 Manufacturers also make the claim that cooking with an infrared grill will lock in more juices. However, there is still conjecture surrounding these claims. When searing your meat, you are caramelizing and browning the surface as the Maillard reaction takes place. While a brown and crispy surface may appear to lock in juices, whether or not this really happens is still debated. So while locking in juices is a moot point, there are some other advantages. Infrared grills produce very even heat, which makes for a consistently well seared surface. Being so fast and hot, infrared cooking is energy efficient as well. You will be able to cook more food in a shorter amount of time, using less fuel. Lastly, due to the intense heat of the burners, there can be less chance of flare ups when cooking with certain types of infrared. We will talk more about the different types of infrared grill later in this article. Without making some adjustments the advantages can quickly become disadvantages when cooking with infrared. The intense heat put out by infrared grills can quickly burn food. When cooking delicate meats like fish, the heat put out by infrared can be too intense. For that reason, you will get the best results if you cook sturdier meats, such as steaks, especially when you are first using your infrared grill. Manufacturers have come to realize that an all infrared grill is not very versatile due to the intensity of the heat they produce. For that reason, most grills now offer a “sear zone”. The rest of the grill heats the food a more traditional way, such as with gas burners. This way, after a very short time on the infrared burner, your meat can be moved back to the non infrared part of the grill to finish off (or vise versa). This different way of cooking can take a little while to get used to, which can put people off using infrared grills initially. There is also concern that burnt food, and particularly burnt meat, causes cancer. While it is true that certain compounds created when meat is cooked have been linked to cancer, there is still more research to be done. Not all infrared grills are the same. They all cook using infrared radiation, but you can get different cooking systems that fall under the general infrared banner. 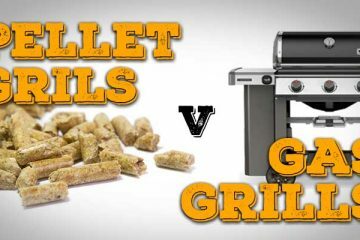 BBQGuys.com have one of the best selections of Infrared Grills online, as well as a lot of good information if you want to learn more. According to TEC, pioneers of the infrared burner concept, the first plates used for infrared burners were ceramic. The ceramic plate sits above a stainless steel burner. The plate then produces many tiny flames across its entire surface, meaning a very intense, even heat is produced. The temperatures these burners reach range from 600-1000°F. This type of burner can be prone to flare ups, due to the naked flame on the ceramic plate, which is just a few inches below the food. This type of infrared system is commonly found on cheaper, entry level grills. These burners do not get as hot as some other infrared systems, reaching temperatures of 300-650°F. Despite producing less intense heat than other types of infrared systems, they are also less prone to flare ups and the heat is still nice and even. Some may find that these less intense burners are actually easier to handle, especially when you are new to grilling with infrared. But you will not get the same results as you would get from a super intense, high end infrared burner. A metal heat emitting plate sits above a stainless steel tube burner, and the cooking grate sits directly on top of that. Found on Lynx Professional Series gas grills, the three pronged design of these burners offer a new level of versatility when cooking with infrared. The ‘trident’ design increases the cooking area, but it also allows for the temperature to be dialed down to a lower level, which makes cooking more delicate meats a possibility. These burners use ceramic plates, and are capable of temperatures from 300-1000°F. Both of the following systems were developed and are manufactured by TEC, the company who pioneered infrared cooking systems early on in its history. This system consists of a stainless steel burner, stainless steel mesh and a glass panel which sits on top of the burner. The cooking grates then sit on top of the glass plate. These burners will reach temperatures of 350-850°F, provide a nice even cooking surface, and are not prone to flare ups. Similar to the IR burner, this burner consists of a cooking grid that sits directly on top of the glass panel. The stainless steel burner used for this system is more durable than the one used in the IR burner. This system is available on a few different TEC grills. Over the entire range of grills the temperatures this type of infrared burner can reach range from 200-900°F. Some additional features can be added to their grills which give the burners the capability to burn at an even lower temperature, making them quite versatile for more delicate foods as well. These burners cook evenly and are not prone to flarups. A hybrid grill includes traditional burners along with an infrared burner to one side. A similar idea is the ‘searing station’, which is included on some grills. If your grill includes both traditional and infrared burners, you are able to sear your meat on the infrared burner, and then move it quickly over to the traditional burner and finish it off. Other grills offer ‘optional’ infrared burners. This means that the grill will not come with infrared standard, but you are able to have one fitted at the time of purchase, or in some cases later on, if you decide it is something you would find useful. Older style infrared grills with a ceramic burner can crack. If this has happened, your infrared burner won’t get as hot as usual and will likely be making a popping or even an engine like sound. Similarly, if the burners are still hot, don’t splash them with cold water as it could cause them to crack. While many manufacturers state that infrared grills are less likely to cause flare ups, depending on the type you get, flare ups can still happen. In fact, some infrared grills are quite prone to flare ups. Make sure you ask plenty of questions and do your research on the particular model you plan on purchasing. It is also important to keep a close eye on anything you cook with an infrared grill as things will burn fast. Many infrared grill owners swear that there is nothing that compares to the ease, speed, convenience and perfect results that these burners produce. Others, however, claim that a high end grill will produce exactly the same results. 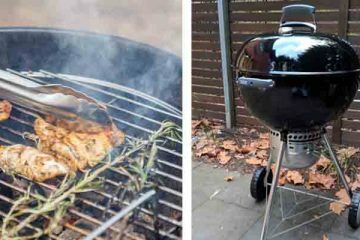 Here are a couple of points to take into consideration when weighing up if one of these grills is right for you. 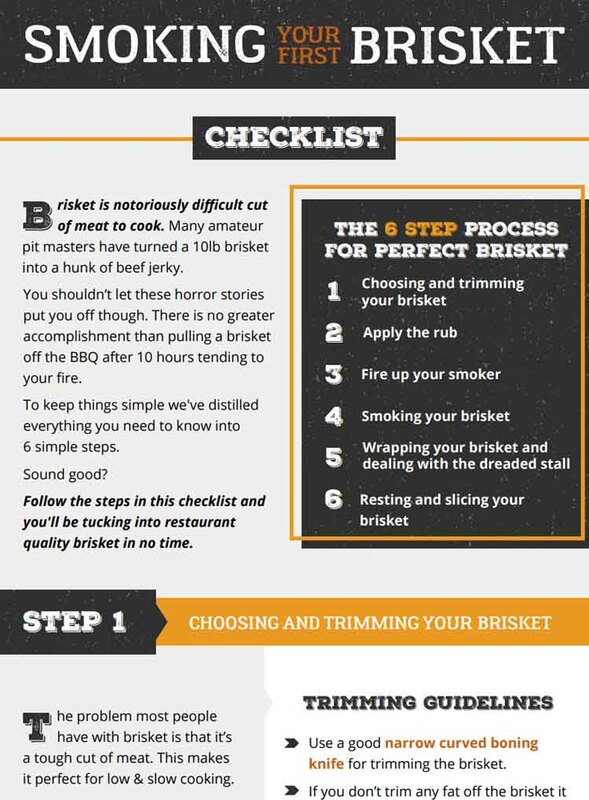 You will need to learn a few new techniques in order to get the best results out of your grill. For some this might seem like a pain, but others love learning new tips and tricks and putting them into action. Infrared grill burners will cook your food incredibly fast. 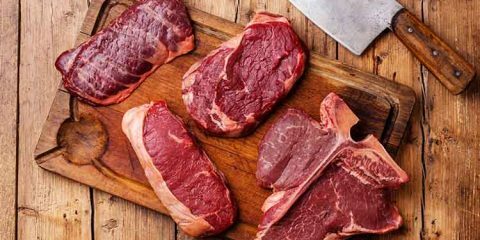 If you regularly sear steaks for large groups, then perhaps the speed at which you can churn out consistently great food will be a selling point for you. 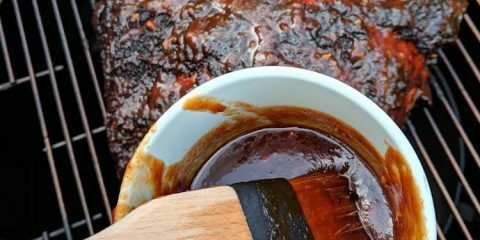 Because the grilling surface is usually close to the burner, dripping fat is usually burnt up and produces smoke that flavors the food. As long you don’t purchase a model that is prone to flare ups, this will result in some extra flavor in your food. If you like the sound of super hot searing but aren’t sure if you are ready to invest the money in infrared, then there is a great alternative that you might like to consider. GrillGrates is a brand that produces a product of the same name that also amplifies heat, prevents flare ups, stops food falling between the grates, and sears your steaks really well. NEVER RUSTS: Made from highly conductive hard anodized aluminum. While GrillGrates are not infrared, they will cost you a lot less than a grill with an infrared burner. 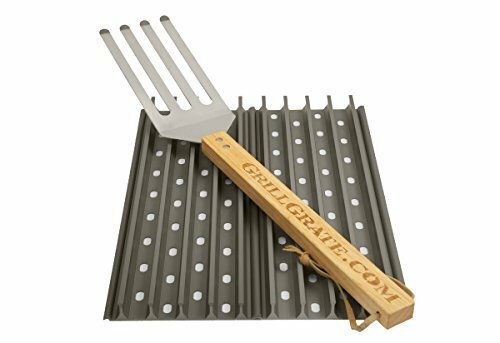 In fact, all you need to do is purchase the right size grates, remove your current grates and replace them with the GrillGrates. Or if you like, you can simply sit them on top of your current grill grates. GrillGrates are made of high quality aluminium. They are interlocking plates that have five raised rails that your food actually comes in contact with. There are also holes along the grates that allow smoke and gases to escape. You can see GrillGrates in action in the video below. The idea behind the design is that the plates take up the heat from the fire. The heat is evenly spread throughout the grates and up into the rails. The fact that the “valleys” between the rails gets super heated and sit so close to the cooking surface means that these grates end up cooking the food in a similar way to an infrared burner. You can also get creative and throw some smoking pellets or chips into the valleys and get some smokey flavor into your food. This will just add to the flavors that will be produced as the fat and juice that drips onto the plate is vaporized, and the smoke that comes up through the holes in the plates reaches the food. GrillGrates state that when placed in a gas grill, these grates can amplify the temperature by up to 200°F. It’s all too easy to get wrapped up in the latest fad that comes along, and some may wonder if infrared cooking falls into that category. However, it appears that infrared burners have enough to offer that the are not going away anytime soon, and for those that want to be able to sear super fast, and end up with evenly browned meat with a crisp tasty surface, infrared burners may be your new best friend. However if you are more of a ‘part timer’, perhaps a high quality grill, or some GrillGrates might be just the ticket for the level of searing you are likely to do. 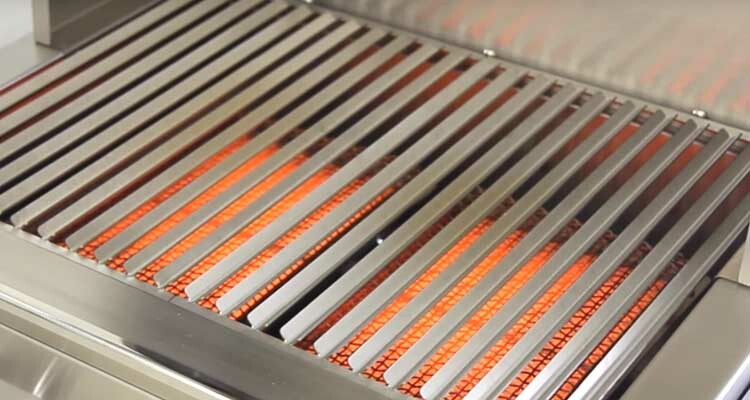 We hope you have enjoyed this wrap up of infrared grills. Do you use an infrared grill? How do you find it? Or are there any other questions you have that have not been addressed in this post? Be sure to let us know in the comments section below. And if you have found this article helpful, please be sure to share! Answered a question of mine. I have an LG electric range with an infrared grill optional setting. Used it for the first time to broil a steak. Did produce a very nice seared flavor. My new broiler pan, highly rated on Amazon, warped quickly. I guess that’s what 700 degrees does to cookware. It has two infrared setting. High and low. I’ll try the low next time. I have had the same Infrared gas grill for abput 7 years and love love love it!! I have cooked almost everything on it and made some of the beat steaks on it. My wife is a wekk done kinda gal and I can cook a perfectly well done Juicy steak in aboit 20 to 25 min. No flair ups with burgers is a huge plus also. But cons the infrared plates are hard to clean and about $50 to replace.